A photograph of Kansas Wildlife and Parks' Officer Luke Douglas Nihart, who was killed in an ATV accident while working the Country Stampede music festival at Tuttle Creek State Park. He was killed when his ATV flipped in the parking area of a Department of Wildlife and Parks' office. 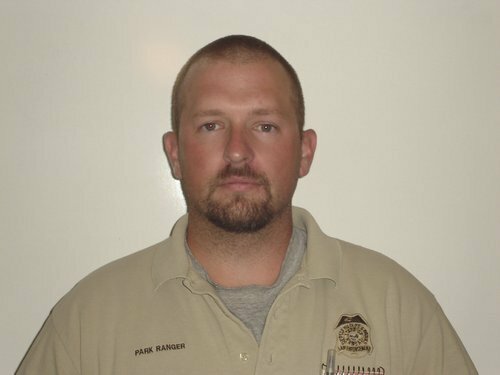 Officer Nihart served with the Kansas Department of Wildlife and Parks for 11 years.